Just purchased the project management toolkit. Looking forward to putting them to use. First sheet I am trying is the resource capacity planer. My question is on the Demand sheet, you have a description and project field to help identify the task, is it possible to add additional columns on this sheet which could then be incorporated into the dashboard or a custom report pivot table or chart? In my case I want to indicate which portfolio and sub portfolio each demand task belongs to. I would also want to add another column to show who is the coordinator for each task. 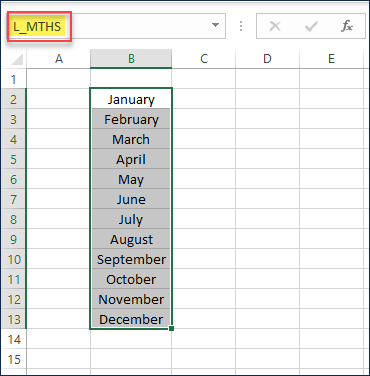 Yes,you can add additional columns to the Demand Sheet, without modifying the formula column. However, for that new column to appear in the Dashboard, it would require several changes to formulas including those in hidden sheets. If you would like to create a separate pivot table or chart based on DEMAND sheet table, that would be easy. It would be based on only Demand data though. I just purchased your Rental Business Manager Template. So far it is above and beyond! I just have two quick questions. 1) Where can I modify the tax rate % to my local tax rate and 2) is it possible to print out a work order (not invoice) for my setup crew to use so they know what equipment is needed? Tax rates can be entered for each order in ORDER_HEADERS sheet. Currently there is only Invoice for each order that can be printed. Please specify what additional information would be needed to be printed. If it’s short text, you can enter in the Order Notes column in ORDER_HEADERS sheet and it will appear in the INVOICE. Hello. I just purchased your awesome template, Business manager. The question I have is, Is there a place I can input a tax rate and have it auto calculate? or do I need to manually input the rate every time? In the products tab, there is a customizable field, column J. You can put the taxable amount and use it later on. I am looking for Capacity/Resource planning template. How much it will cost me and what is the mode of payment. Also, is there any way that I can customize the template as per my requirement and you can help me with this? You can purchase using a credit card or paypal account. We cannot customize the template however you can edit and make changes as needed. I try to refresh data and this message appears. Please walk me through the process of how to refresh data or I will need a full refund for my purchase. Please refer to our Small Business templates at https://indzara.com/small-business-excel-templates/. We do not have voice support for our products. i have been trying to buy Manufacturing – Inventory and Sales Manager – Excel Template ,but every time the transaction is failed. Kindly help, i want to buy this product on urgent needs. Thanks for your interest. Please try a different payment method, as this is the error I am seeing. ‘Funding Instrument In The PayPal Account Was Declined By The Processor Or Bank, Or It Can’t Be Used For This Payment’. sir this is one time amount and no extra amount to be paid every year for up-gradation ? Yes, one-time payment and no recurring fee. No fees for updates.